No one wants to think about their own mortality. Even when people get older they don't want to think about dying. But not thinking about it can cost you and the ones you love. Without a written will or trust the state will decide who inherits your property and who will get custody of you minor children. Without a financial and healthcare power of attorney the courts may decide what happens to you and your assets if you become disabled. Together, setting up these documents is called estate planning. I have seen millions paid in taxes that could have been avoided and much needless grief, sorrow and anger among family and loved ones because someone's estate was not planned well enough in advance. Too many of us think estate planning is only for "rich people" and that if anything happened to us things will be taken care of. This couldn't be further from the truth. Not only do most people need planning but they need to keep it up to date. Here are a few of the biggest estate planning mistakes that you should not make. 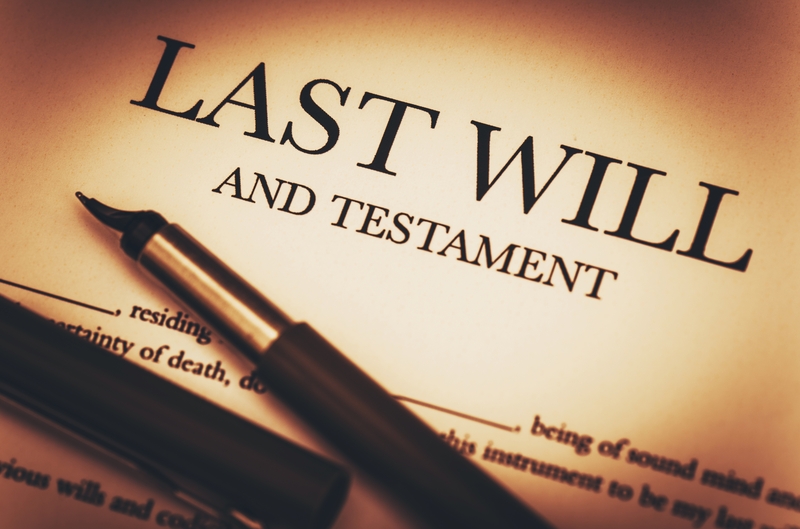 Don't die intestate.No, intestate is not a place, it happens when you die without a will. If you die without a will the laws of the state where you reside will dictate who gets what and this may not align with your wishes. Many young people don't think they need a will, but bad thing can happen to anyone at any time. At the least make sure your children are taken care of by designating a guardian in case something happens to you. Don't forget your beneficiaries. IRA's, life insurance, annuities and POD (payable on death) accounts are not passed on through your will or trust unless you name your estate or trust as the beneficiary. So you want to make sure your beneficiary designations are up to date. Many times people don't even consider these accounts when they are thinking about who gets what and the desired estate split is actually not even close to what they want it to be. Don't forget about your kids from your first marriage.I don't know how many times I have seen this one. Joe is in his second marriage and dies leaving everything outright to his current spouse Kathy. Kathy dies and everything goes to her own children from her first marriage. Joe's kids get nothing. There are ways to avoid this. One is to create a trust where your spouse gets income from your estate and the kids receive the balance when your second spouse dies. Don't make promises you can't keep.If you just tell someone they can have money or property after you die that's not good enough. You need to put your wishes in writing in your will or trust. I have seen some really bad family fights about the smallest things. Remember it's not legally binding unless it is in writing. I recommend you even make a list of who receives personal property like grandma's rocking chair and attach it to your estate document. That little sticker you have on it now can accidentally fall off or the chair might just disappear shortly after your death. Don't forget your significant others.If you have a relationship with someone that is not legal you must be particularly careful if you want them to benefit from your estate. People with long term relationships where they are not married may have no legal right to their partner's estate. If you have children outside of marriage and no paternity is established they may have no rights either. At the very least there may be an expensive legal fight if they wish to inherit some of your estate. Spelling who gets what in your estate planning documents will make sure your wishes are carried out. Don't name the wrong executor or trustee.Taking care of someone's estate is not simple. You want to choose someone who smart, experienced and has the desire and time to do a good job. If a trust goes on after your death and distributes to beneficiaries over a number of years it's a huge responsibility for the trustee. Name someone who is much younger than you are and name backups including a corporate trustee like a bank or trust company. Don't do it yourself.If you have any assets or minor children get an attorney to help you. If you have significant assets or a blended family get an attorney who specializes in estate law.